This has to be my least favourite type of post. Thanks to some tweets from you, I learned EBSQ was down before I even got into the office. A check of our logs shows we’d been down since 4:17am EST and a quick call to our Data Center confirmed they were having ongoing general network issues affecting all of their accounts. We’re now back up, but we wanted to apologize for the unplanned downtime all the same. 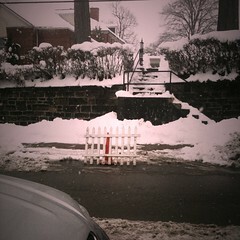 Thanks for saving a spot for us and enjoy the rest of your snow day with EBSQ!